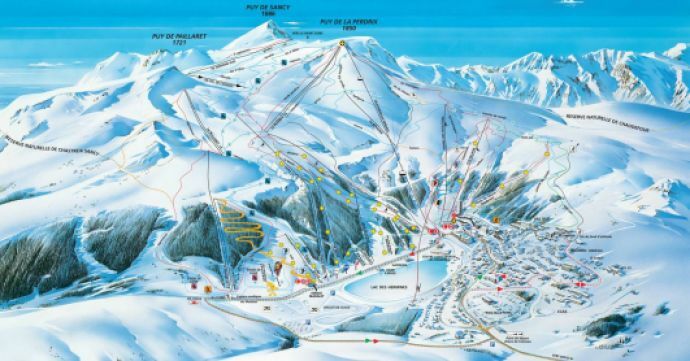 At the very top of France’s breath-taking Massif Central range sits Puy de Sancy, a ski resort quite unlike any other. The snow-capped peak that lends the resort its name was, in fact, once a fiery volcano—but luckily for keen skiers, it fell dormant over 220,000 years ago. Even so, the area’s volcanic history still lives on in nearby Mont-Dore, famous across France for its many Roman hot springs and easily accessible by one of Puy de Sancy’s 22 cable-car lines. Today more and more visitors and buyers are discovering the charms of France’s Auvergne region, and with its crisp mountain air and never-ending views, property investors would do well to discover France's "best-kept secret." With medieval towns and ancient castles nestled among rolling green hills, and the Dordogne river curling lazily through the valleys, it’s no surprise that the area is attracting more and more visitors every year. 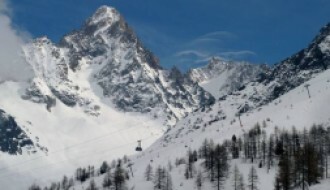 But it goes without saying that the skiing is what truly sets the area apart, offering a range of winter sports activities from beginner slopes to intrepid night-skiing adventures. When you’ve had enough of the cold, there’s always a chance to take a dip in one of the area’s many soothing hot springs. Equally, you could visit one of the region’s many volcanic lakes, or take advantage of the region's many outdoor pursuits, from dog-mushing to white water rafting to golf. Puy de Sancy is surrounded by the eleven “Massif du Sancy” towns - among them Montpeyroux, regularly listed among the most beautiful villages in the country, and Courpiere, once home to Coco Chanel. Not to mention the miles of unspoiled countryside, which includes countless hiking trails and a number of unique nature reserves. Auvergne is generally a historic, rural area, with acres of pristine farmland, stunning Romanesque architecture, and friendly locals. The area throughout the Massif du Sancy is well-known for its hearty food and rich local cheeses, as well as for its litany of charming farmhouses and historic towns. The pace of life here tends to be laid-back and outdoorsy. Anyone interested in history will treasure the area's obvious Roman legacy, including many still-intact volcanic spas. Why Choose Puy de Sancy? With a population of around 640,000 “puydomois”, a thriving winter sports scene (Puy de Sancy also shares the peak with the nearby Super-Besse resort) and well below-average property prices, there is no shortage of rental opportunities for potential investors in the area. The only drawback to renting out one of the area’s many ski homes, farmhouses or apartments is that you may find yourself wanting to stay all year round! But considering the breath-taking beauty, architecture and sporting opportunities within a stone’s throw of the resort, buying for yourself in Puy de Sancy also pays dividends in terms of quality of life. While the area was once relatively overlooked by those outside of France, the area is now increasingly sought-after, with new B&Bs springing up throughout the local towns and the local infrastructure being quickly developed in response to the new interest. In 2012 a railway was constructed to the top of the nearby Puy de Dome, and buyers in Puy de Sancy can expect the cable car network to keep growing as more and more visitors and buyers arrive. 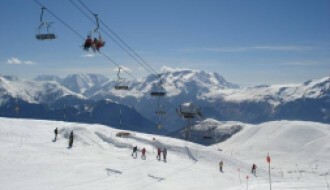 The ski season for the resort generally runs from early December to mid-April, and the resort typically flourishes with spring snow, blessed with an average mountain snow level 70cm, and the same for the valleys in the later months. If you would like up-to-date snowfall information, take a look at our Pu de Sancy resort guide here. 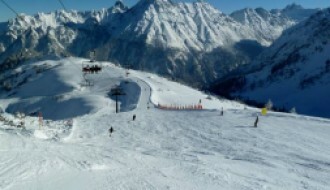 The base temperatures for the resort are usually somewhere between -6 and 11 degrees, with a mountain temperature between -9 and 7 degrees. A mixture of snowfall, bright sunshine and light rain is usual for the area. Despite the exhilarating sense of nature that you’ll get from the slopes of Puy de Sancy, the area remains well-connected. It is about an hour’s drive from Clermont-Ferrand airport, through the stunning countryside of the Parc des Volcans d’Auvergne, with excellent bus and motorway links and regular flights into the city. The nearest school is roughly thirty minutes away, with amenities and shopping opportunities scattered throughout the neighbouring towns and cities.